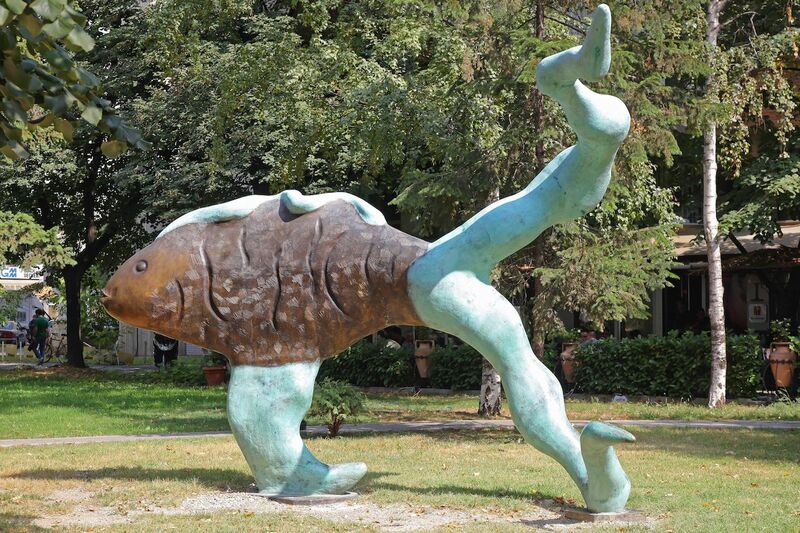 Skopje, Macedonia, has a ridiculous amount of odd statues. Here are the ones you need to see. 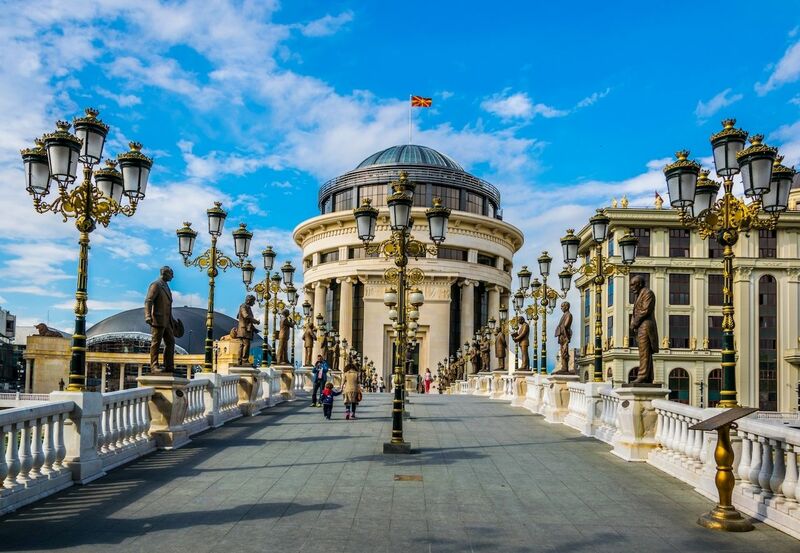 Nicknamed the “Capital of Kitsch,” the small city of Skopje is located in the Former Yugoslav Republic of Macedonia, or just Macedonia for short. It’s a city slowly on the rise, riding the increased wave of tourism flowing into Eastern Europe. Beyond the city’s fabulous Mediterranean and Baltic cuisines and its collection of historical museums, one of the prime attractions for visitors is the city’s collection of beautifully constructed statues that dot the city’s core. Well, dot is a bit of an understatement. There are well over 100 quirky sculptures in the rather small city, largely built as part of a massive government project in recent years to spiff up the city and give it a unique character. Far from being an innocuous beautification of the city, though, these monuments have a lot of controversy surrounding them, which makes visiting them all the more fascinating. The PR disaster of Skopje 2014. A massive earthquake in 1963 destroyed most of the monumental beauty of the city, leading to its reconstruction as a modernist city. 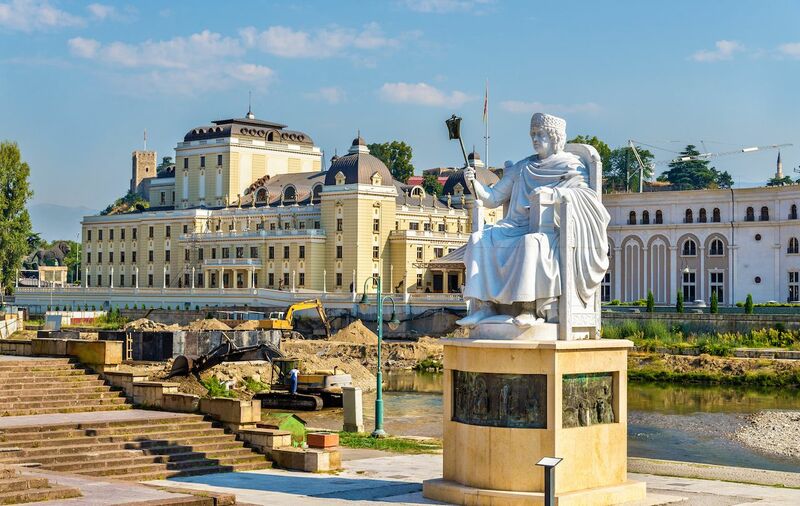 In an effort to boost its curb appeal, Skopje’s previous government decided to drop a cool 260 million euros to build a bunch of statues — despite the average Macedonian household only earning 1,730 euros per annum — in a project titled Skopje 2014. 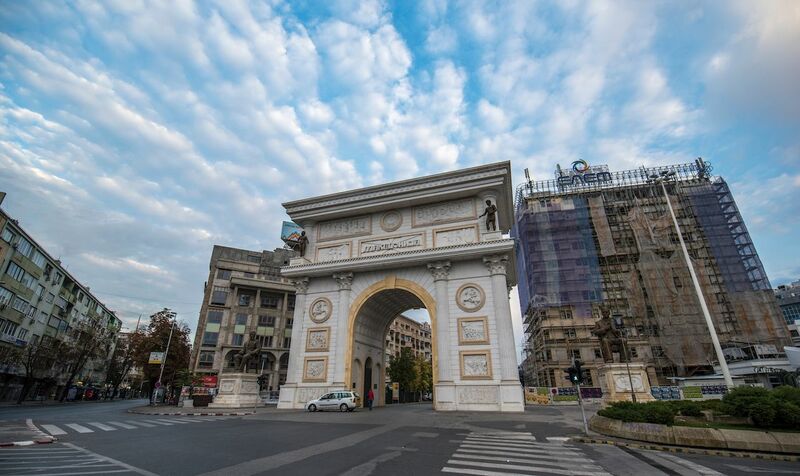 There was some facade redevelopment included in the sum, but a definite focus of the project was adding these sculptures, which the government thought would instill national pride in the local Macedonian people. Macedonians largely considered it a waste of money, and locals took to paint bombing many of the costly monuments in disgust. Worse yet, some Macedonians believed that the sculptures were being used to rewrite the history of Macedonia. Long-running tension has existed between Macedonia and the neighboring region of Greek Macedonia over the usage of the Macedonian name. The over-the-top facades and statues are seen, by some, as an attempt to misappropriate the history of the Greek civilization of Macedonia. 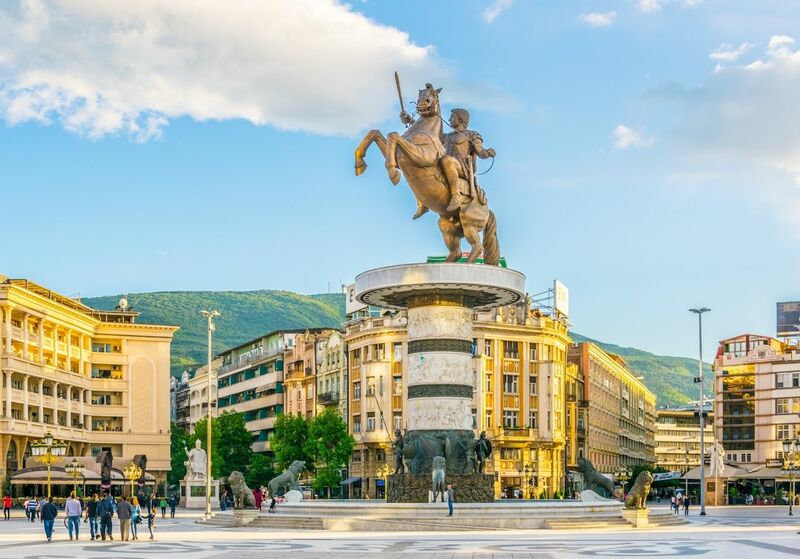 Since its completion in 2014, though, Macedonians have had time to come to terms with the monuments, and they’re more considered a local joke more than a point of ire. (People like to say there are more statues than people, which is a stretch but not by much.) For all of the project faults, one thing’s for sure: It has resulted in the creation of some rather interesting sights for visitors. Here’s how to see the most memorable among them. At eight stories tall, you’re not going to miss this one. 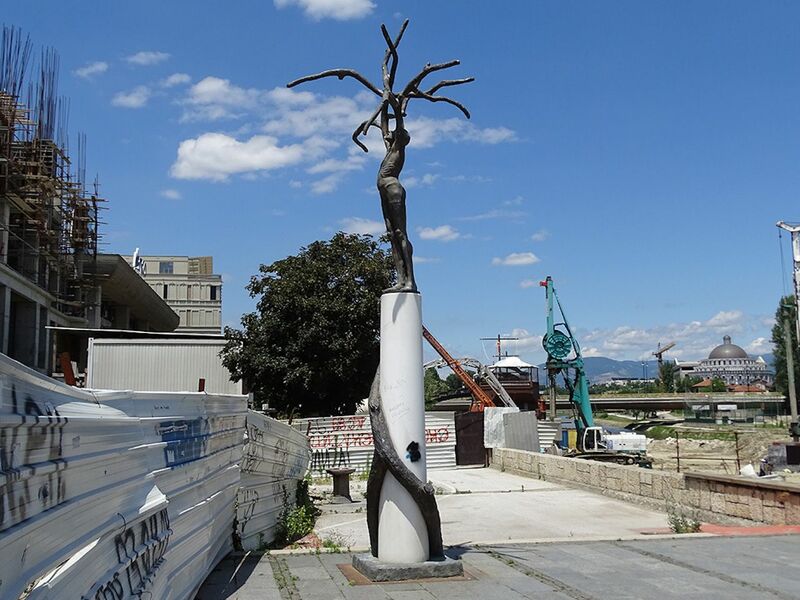 Located in the middle of the city (and costing 7.5 million euros) is a massive statue supposedly based on Alexander the Great, causing a great deal of unrest with its Greek neighbors. While the local airport has had Alexander the Great stripped from its name and a statue of the historic figure removed, this statue, officially named Equestrian Warrior, has avoided being pulled down, so far. A proposed renaming of the sculpture — ironically, to Alexander the Great — might save it yet. When one thinks of beautiful aquatic sculptures depicting the serenity of the sea, this is definitely what comes to mind. A blobby looking fish, apparently with fin rot, located in a dusty park opposite the Olympic Swimming Pool. Designed by Grozdanka Kanikova, it is truly an inspiration to us all when we are heading off for a casual swim. 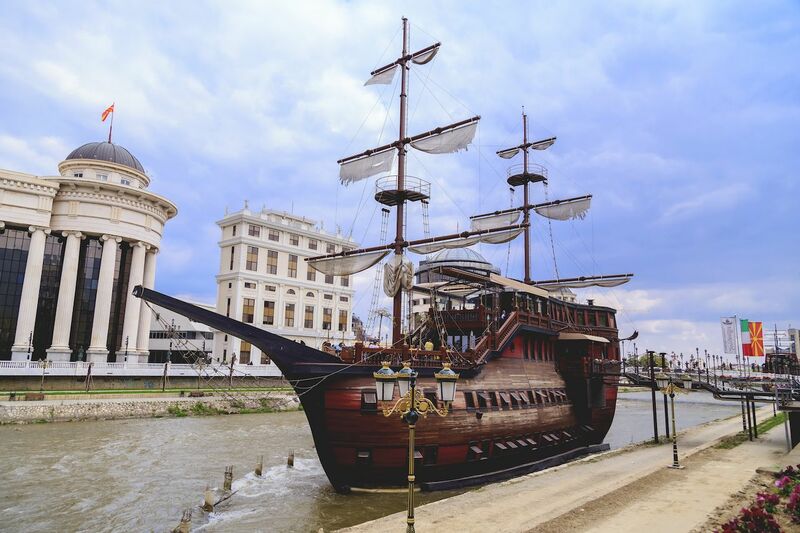 The rationale for including not one but three pirate ships in Skopje remains a mystery. Macedonia is a landlocked country, after all. The most famous one contains a hotel and a restaurant, which has surprisingly reasonable reviews. However, because of the whole landlocked thing and due to low stone bridges on its rivers, no ships could have made it into the harbor. But hey, you do you, Skopje. 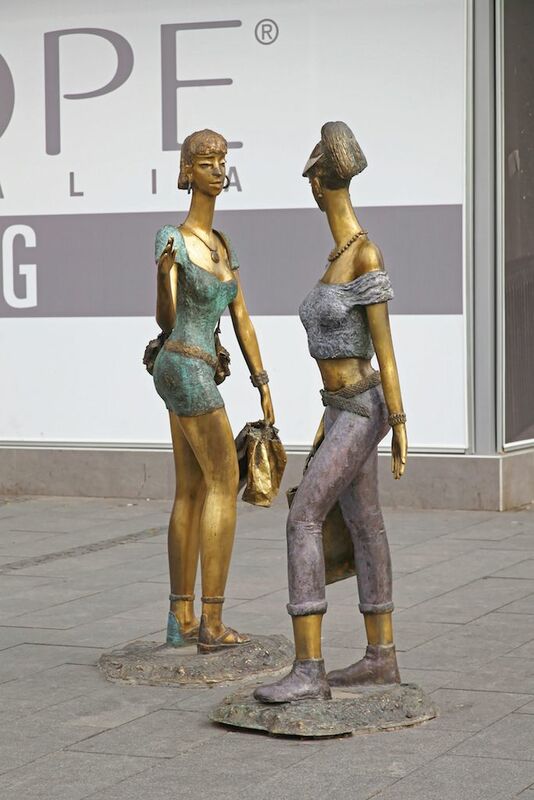 Another mysterious statue is the one known as Two Girls. Is this a commentary on the rise of a middle class in Skopje? Is it referring to the rich tourists that come to gawk at this strange city of statues? Did the author really like contempo-casual LA fashion, particularly visors? Who knows. It has become a selfie favorite amongst visitors, though. If you want a subtle way to honor Mother Teresa, an Albanian born in Skopje, this one’s for you. 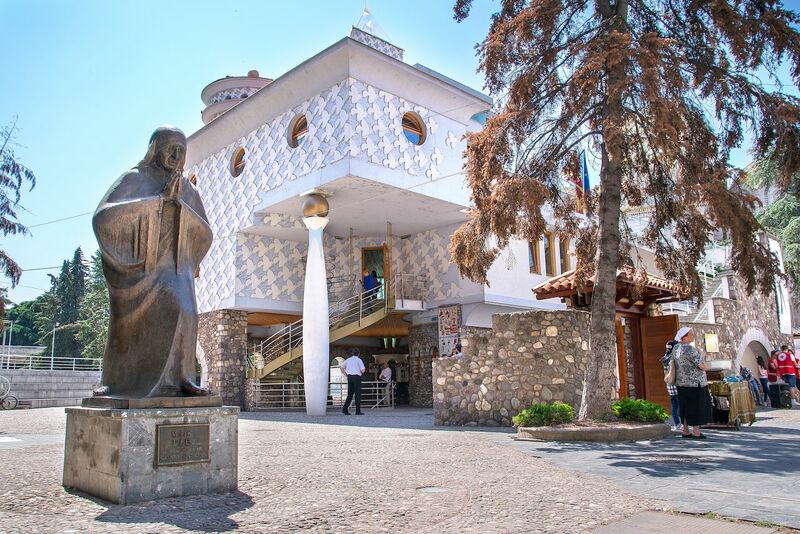 Built in 2009, the Mother Teresa House, complete with a statue of Mother Teresa outside, is a rather glitzy attempt to memorialize the life of Anjezë Gonxhe Bojaxhiu, who took the name Mother Teresa and lived out her days as a nun. The stained-glass window is a whole new level of kitsch. 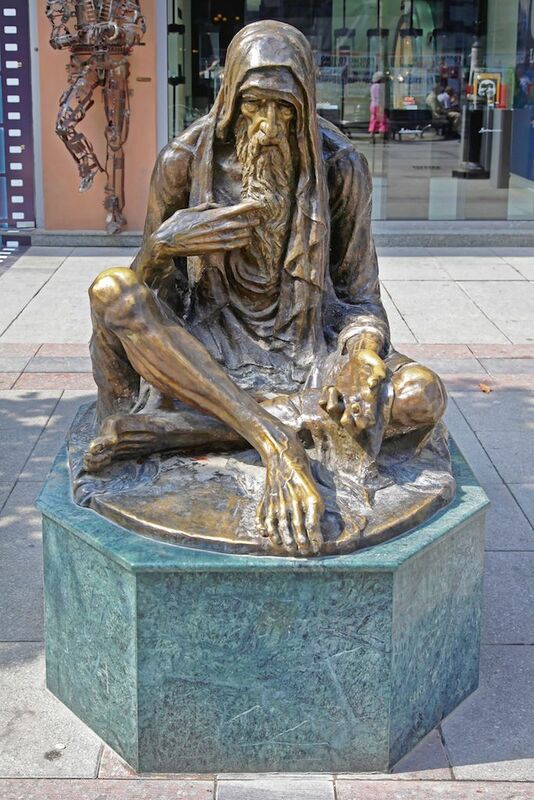 Apparently portraying Christ as a beggar, this sculpture by local artist Natasa Bozarovska was one of the first to be erected at the beginning of the Skopje project. The statue seems kind of ironic given that, in 2012, one-third of Macedonians were living in poverty. This piece is the giant version of that creepy animal sculpture for sale at your local hardware store, caked with an inch of dust because nobody wants it. 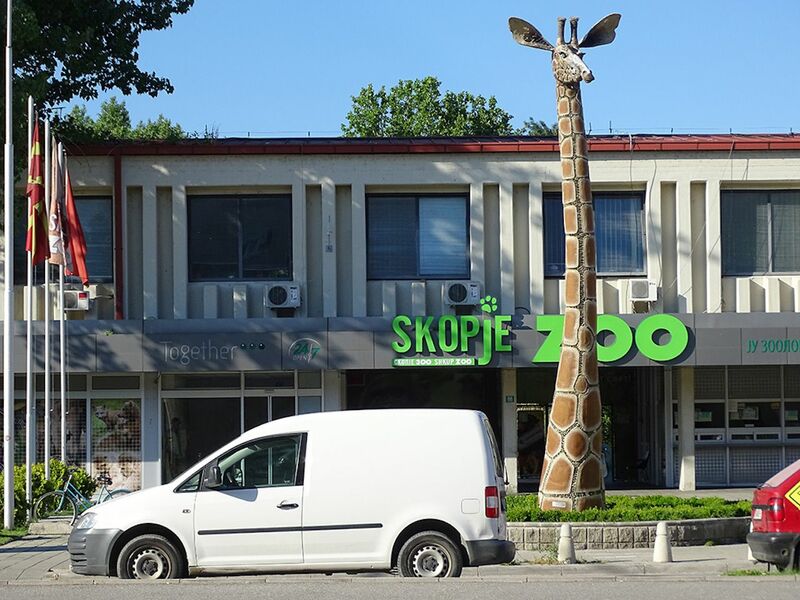 The best part of this eight-and-a-half-meter tall sculpture outside of the Skopje Zoo is that it has no body. It’s just a disembodied head sticking out of the ground, leading one to wonder how creepy it would be if it were anything other than a giraffe. Girl with Guitar apparently cost nearly 12 million euros to construct. The thing about this girl is that she looks like she is holding that guitar mighty tight like she’s scared someone will steal it, and she also looks pretty sad, but it makes for a great photo. 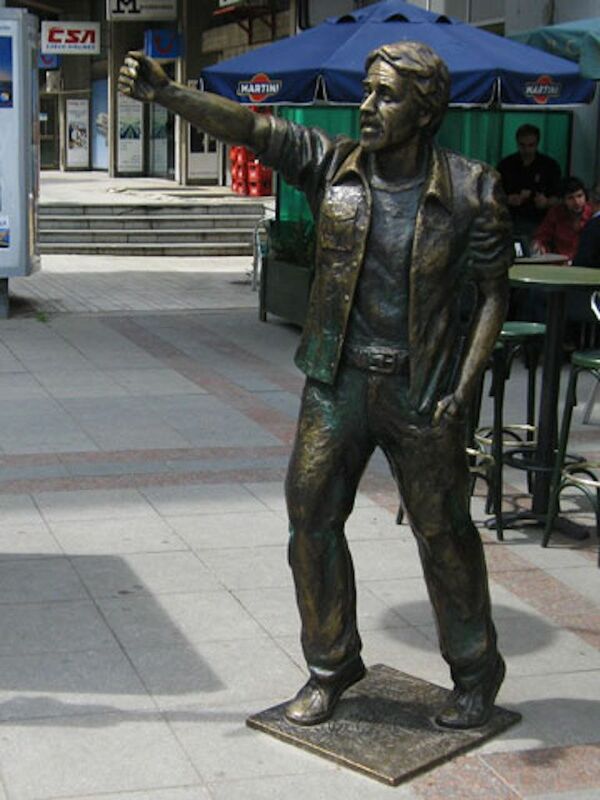 If there is one common theme amongst the statues of Skopje, it’s the very unoriginal names given to them. This statue by Damjan Gjurov is, unbelievably, of a man turning into a tree. If you’ve ever felt the desire to see a man grow spindly, branch-like appendages, you’re in luck. Yes, one of the statues is actually called Heeey. Maybe the Macedonian’s heard us complaining about their unoriginal naming conventions. Smizla, like Two Girls, is of a fancy, urban young woman, looking like she stepped right out of a commercial during the ‘90s. Depicting what appears to be the Fonz, Heeey is of a man catcalling Smizla, who looks totally uninterested in him. Were you to want your own triumphal arch but aren’t really sure what you want to celebrate, just call it the Porta Macedonia and slap a quote on it by Mother Teresa. 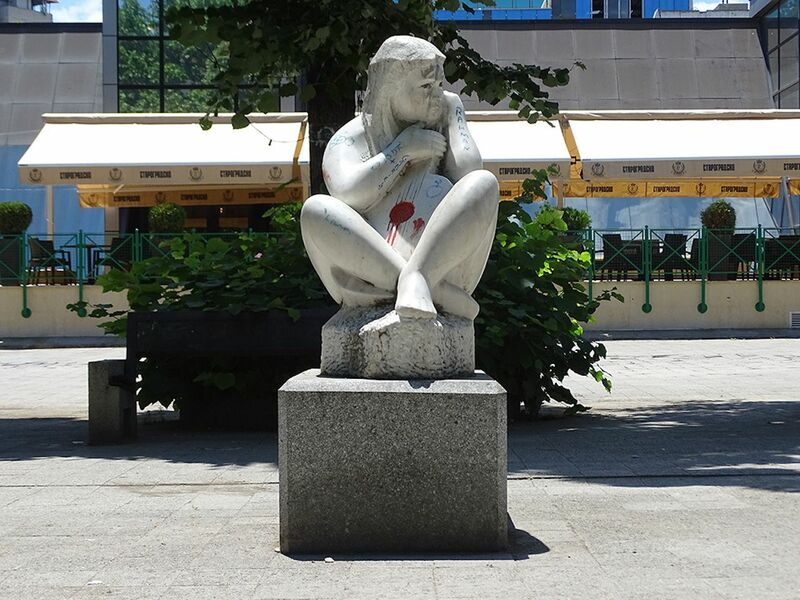 But don’t opt for something inspirational from the famed saint, such as, “Spread love everywhere you go… let no one ever come to you without leaving happier.” Choose a terrifyingly out of touch quote, like, “The greatest destroyer of love and peace is abortion.” Ah, Skopje. You just get weirder by the minute.